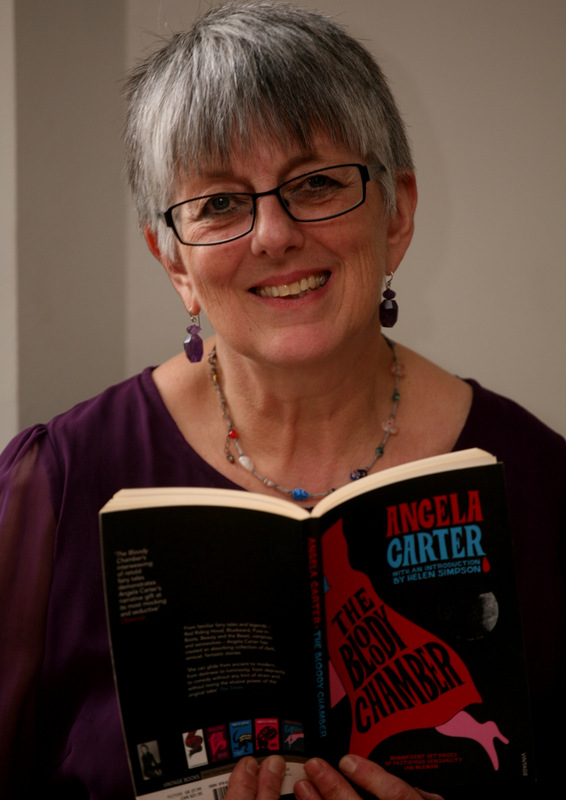 I have always loved fairy tales so for this campaign I have chosen Angela Carter`s “The Bloody Chamber” and other stories, a collection which explores the darker side of familiar material from my childhood such as Little Red Riding Hood. I met Carter when I was 15, having been chosen to attend a Creative Writing course where she was a guest tutor. Her magical realism style appealed to my wild nature as I much preferred to get lost in literature that created other worlds far away from the everyday mundaneness of kitchen-sink dramas or polite society novellas. Carter’s approach to feminism through literary exploration of archetypes, rediscovering the power of women and girls to upset the apple cart, to question the male order of things, was deeply appealing to my nascent political sensitivities. “The Bloody Chamber” is deliciously dark and disturbing, acknowledging primal sexuality, for example the ‘red’ attire worn by the adolescent girl skipping through the wolf’s forest is a symbol of the onset of her womanhood, menstruation. Both girl and grandma are powerful in Carter’s work, demonstrating an impolite feistiness that is often at odds with how we women are supposed to do things. When I first read Carter’s work I was closer to the girl revelling in the newness of awakenings. Now I am more like the grandma, fearless in my stance against the wolves of misogyny.